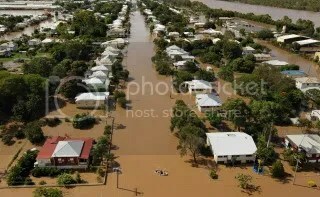 Two photos of the floods in north eastern Queensland. 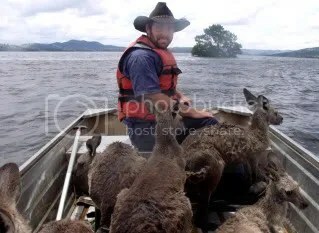 through floodwaters near Wellington, Australia. It's just horrendous. I know I should worry most about the people, but it's the animals that upset me.